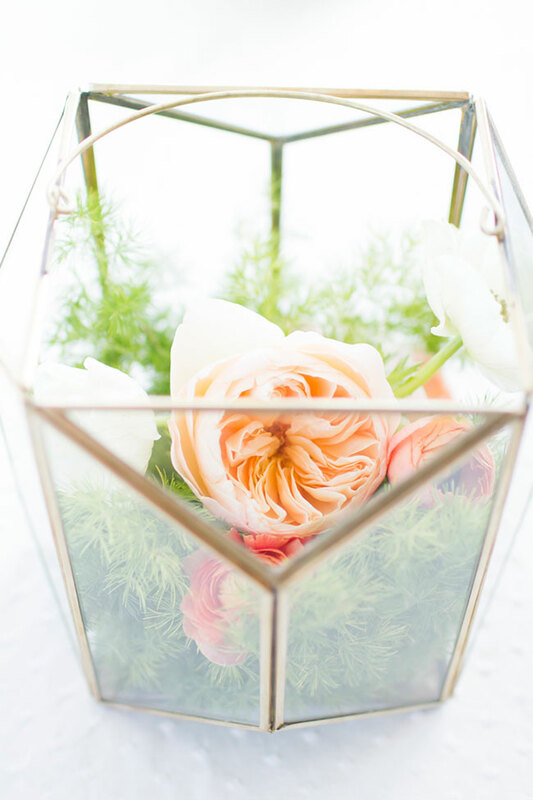 Somewhere along the line someone decided that you couldn’t be modern AND vintage, geometrically inclined while being soft & romantic, together at the same time. 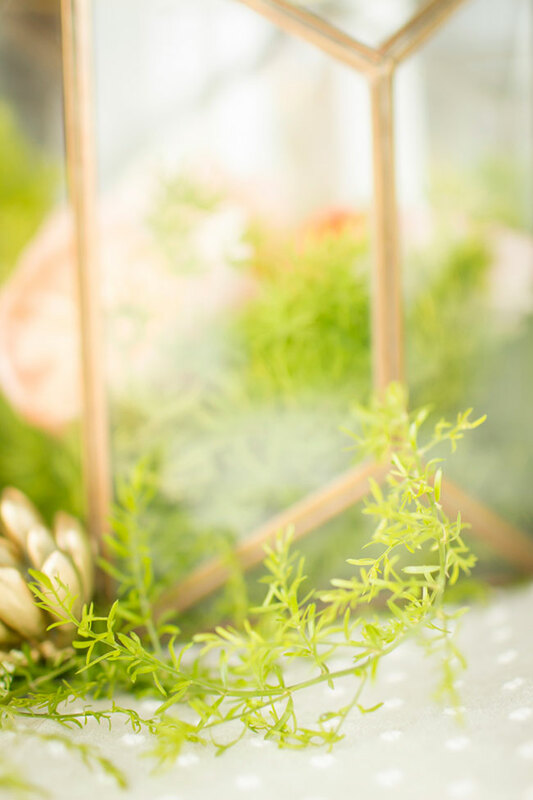 There has been this unspoken design rule floating around for ages that has blindly been followed with the essence to stay in your own lane when it comes to a theme. 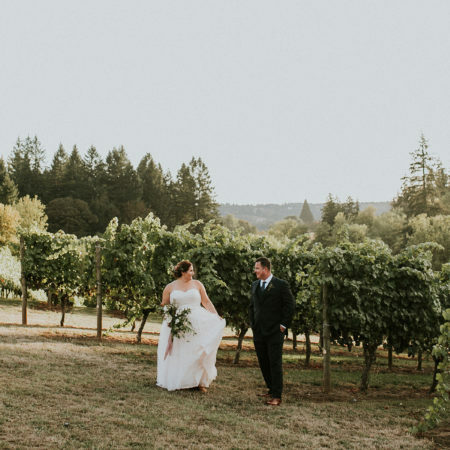 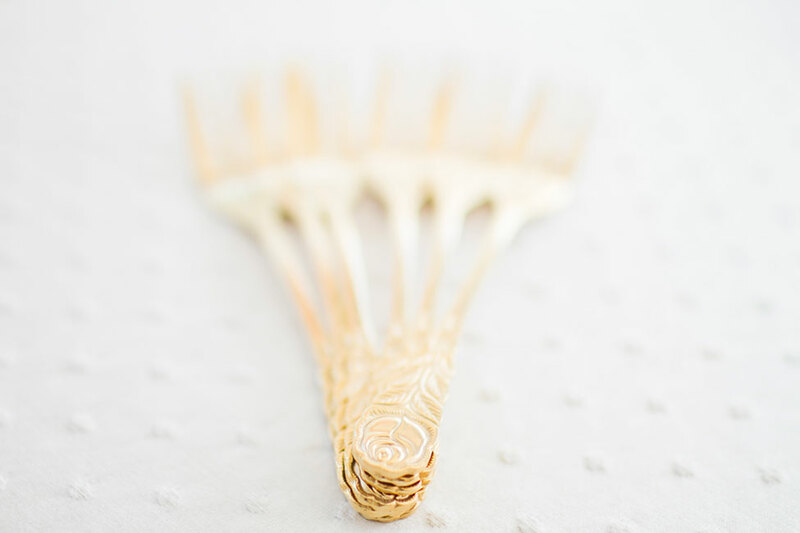 What I love so incredibly much about today’s feature is how a California crew of incredibly talented wedding vendors decided to smash that notion to smithereens! 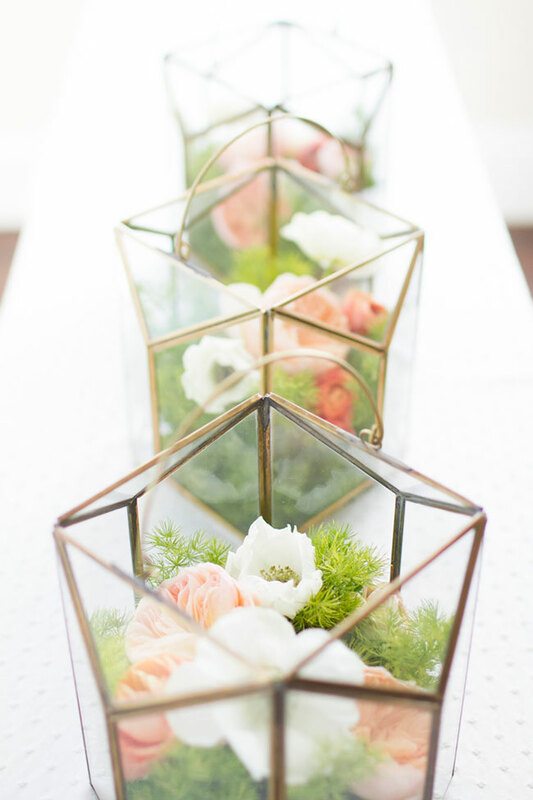 With a geometric wedding back bone base, event coordinator, stylist & florists Kelly Elissa Events & Enchantment Floral utilized charming vintage minded details from Hunt and Gather Rentals to add another level of dimension to their geometric wedding crafting a unique rustic vintage geometric wedding style. 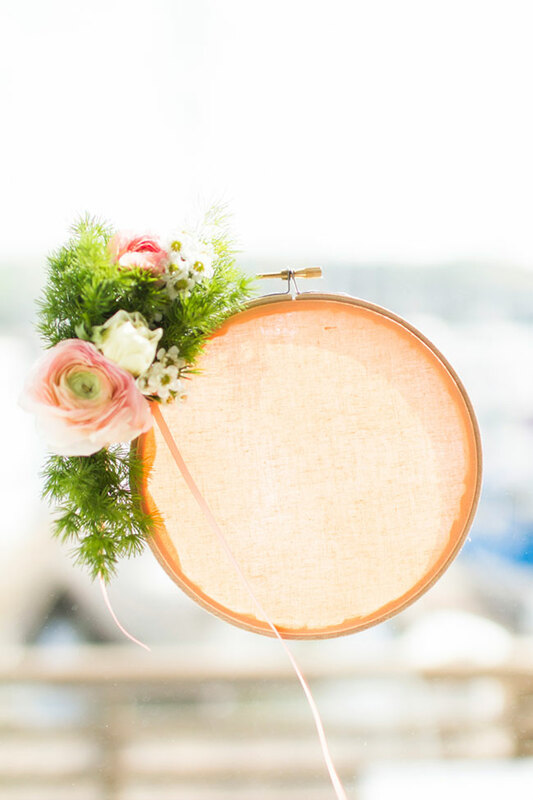 When crisscrossing different genre’s of style, there is one true rule that should always be followed, keep it clean, keep it simple & keep it light. 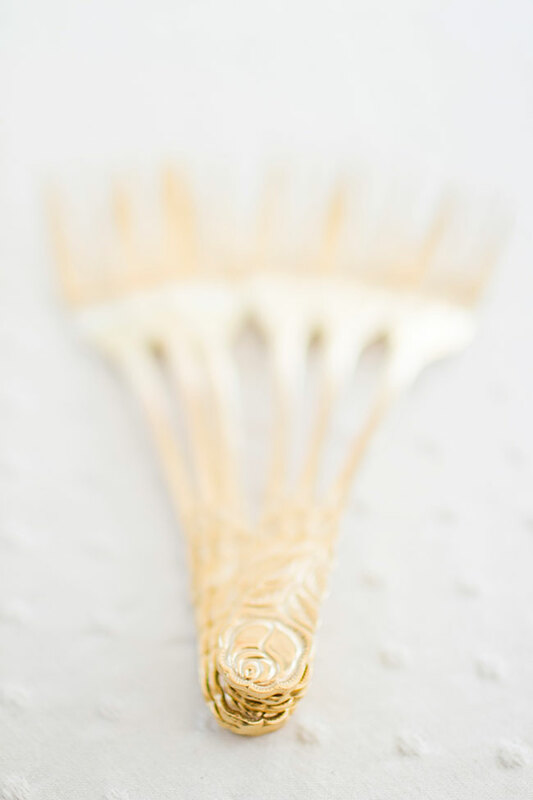 In order to seamlessly blend contrasting design types complimentary elements is the name of the game. 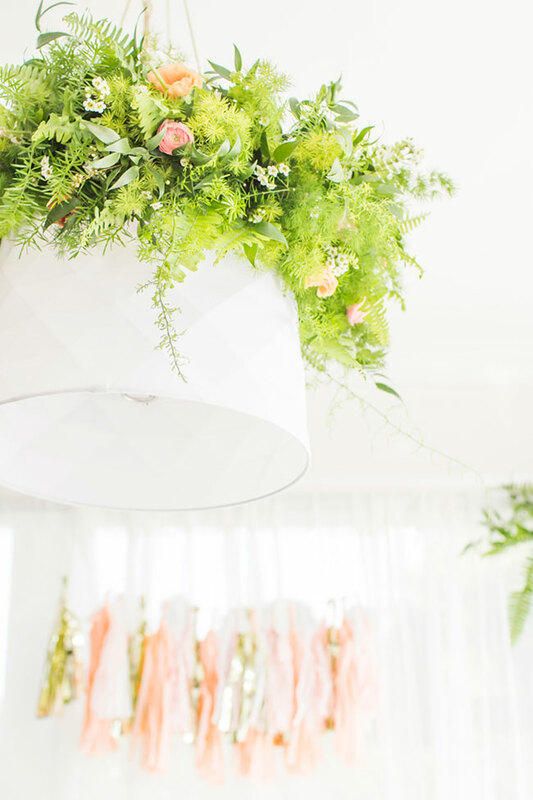 There is a lot to crush on here, but I must admit my favorite pieces are those with organic detailing. 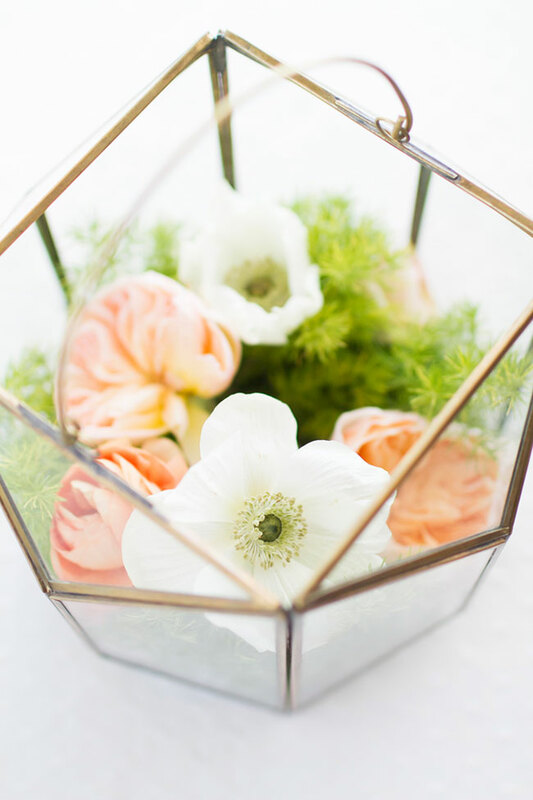 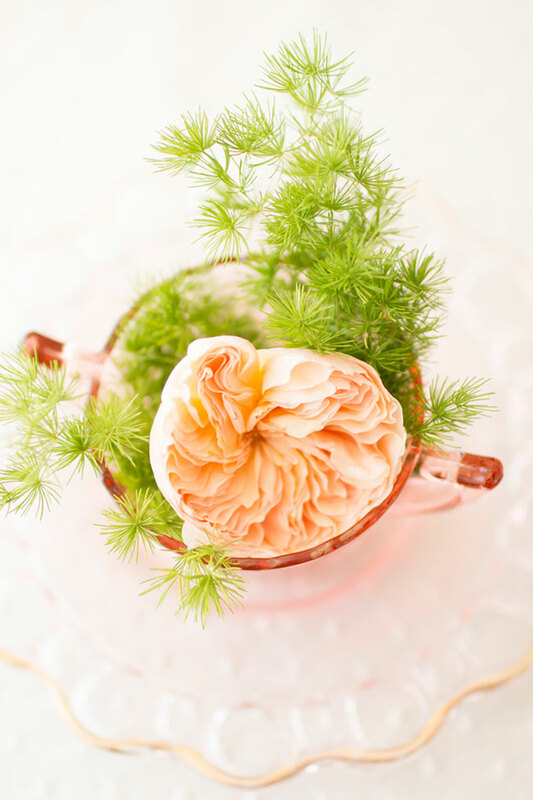 Gorgeous Anthropologie geometric terrariums line the table filled with mossy greens, garden roses, anemones & ranunculus all while running down the center of table with a garland base. 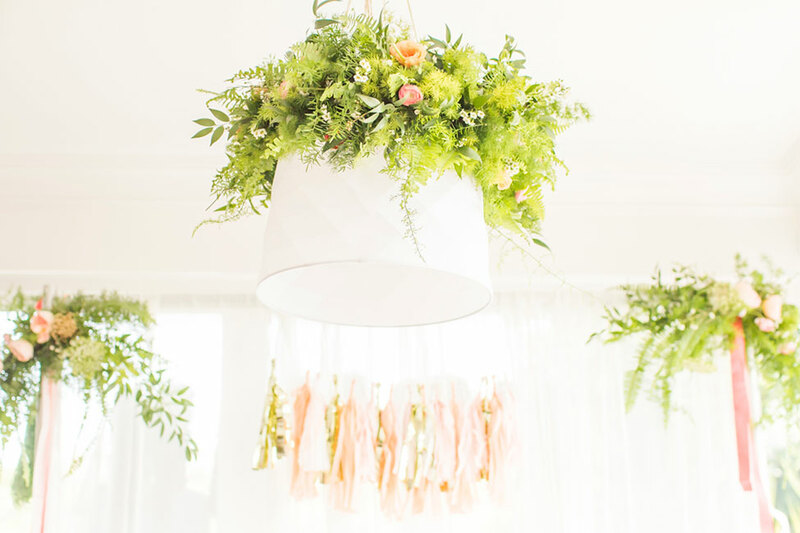 Up above a modern lampshade is hung & draped with billowy greens to give the perfect essence of romance & whimsy, softening up the sharp geometric feel. 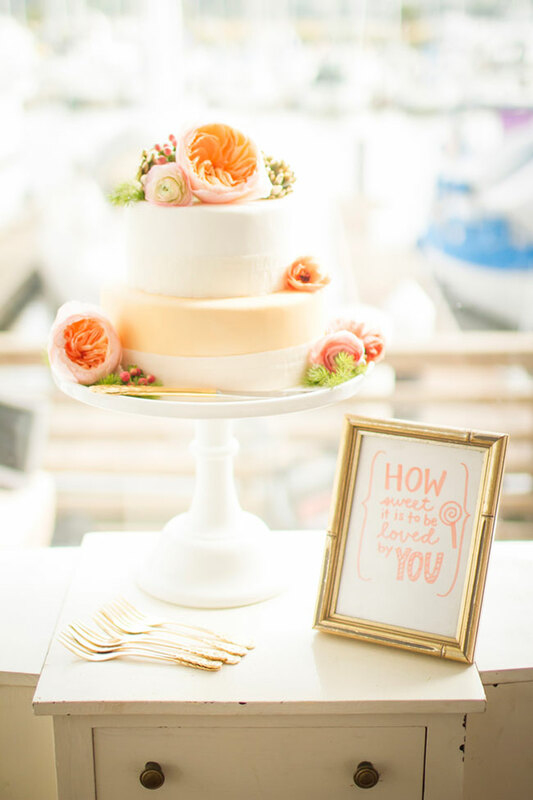 The final pieces come in the form of place settings that echo geometric design while vintage furniture pieces serve as the display for the dreamy 2 tier cake from Is my Crazy Showing & gold sparkle filled beverage area. 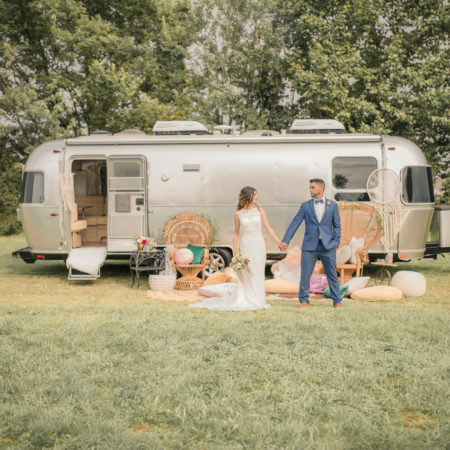 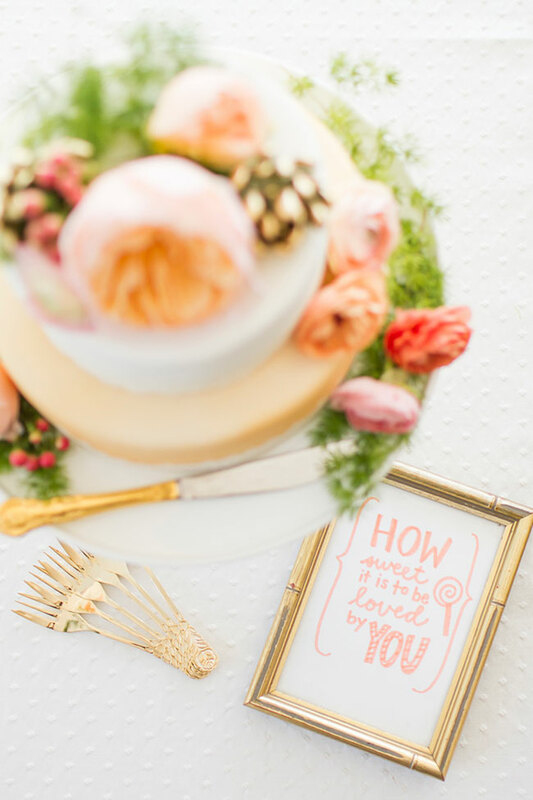 It should come as no surprise that each moment is beautifully captured by California wedding photographer Angie Capri Photography, the very same that brought our stunning pink sequin sweetheart table to life just a few short weeks ago. 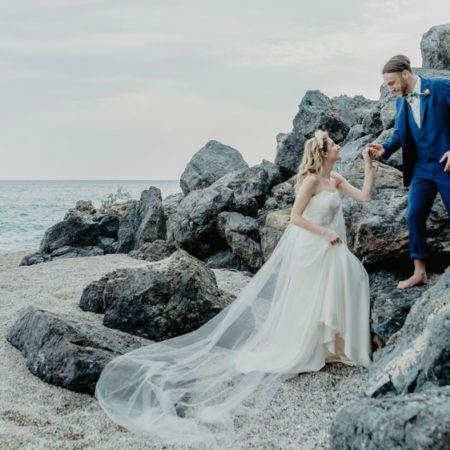 If you are even slightly toying with any of these wedding styles, I implore you to take this mix of styles to heart, one is great but two is better! 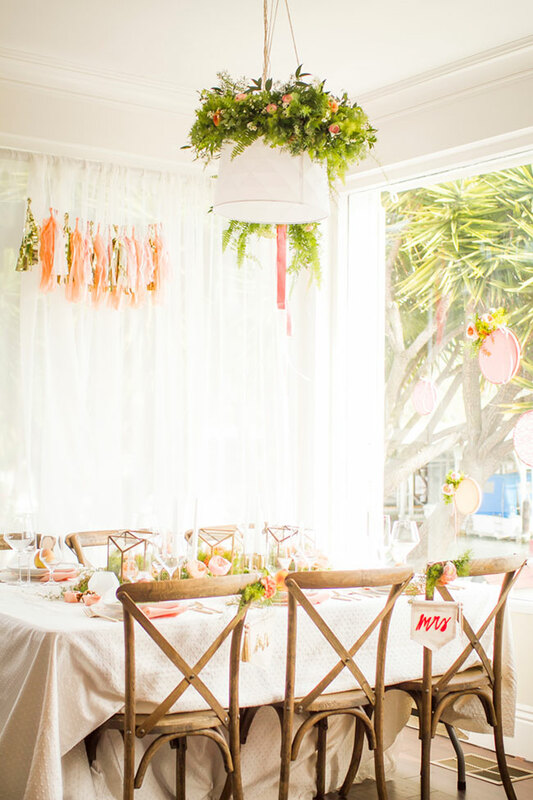 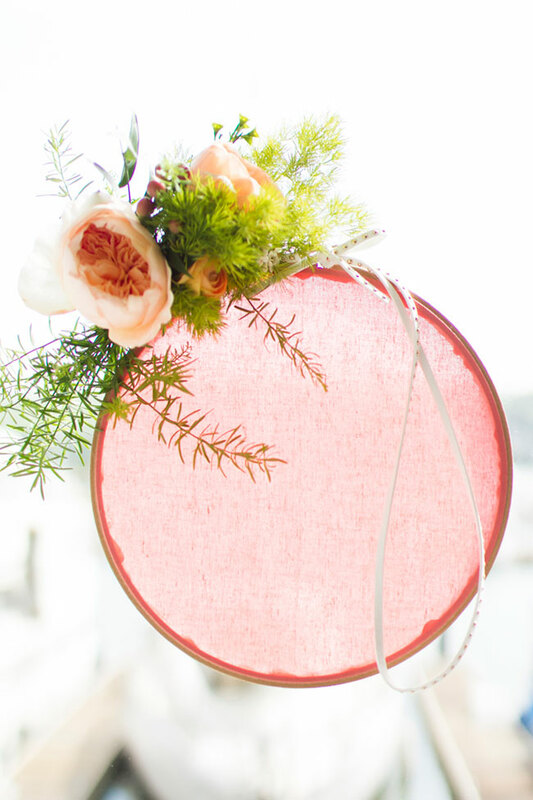 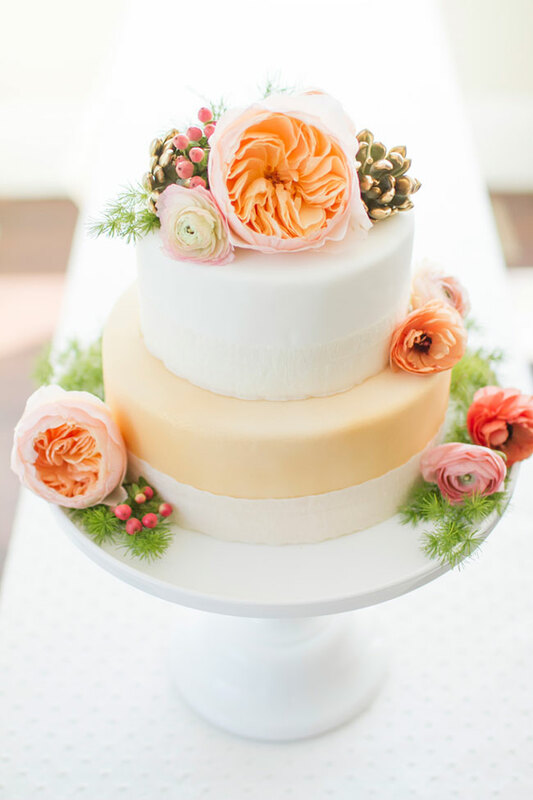 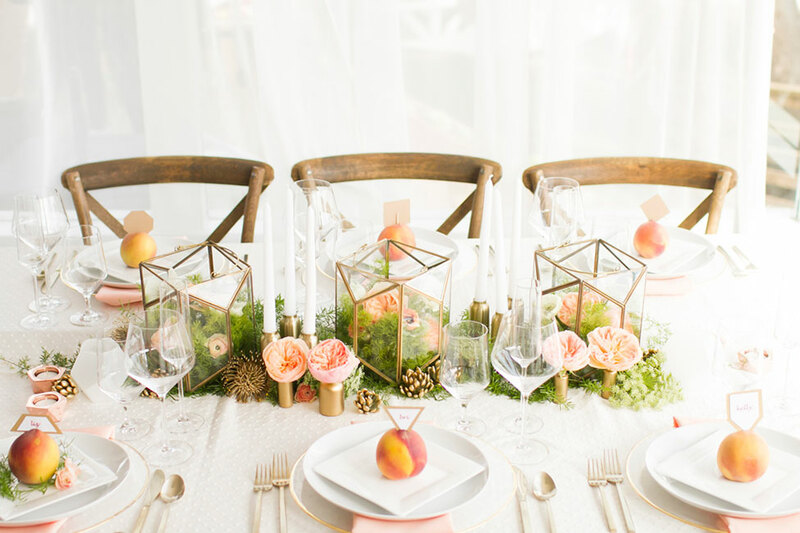 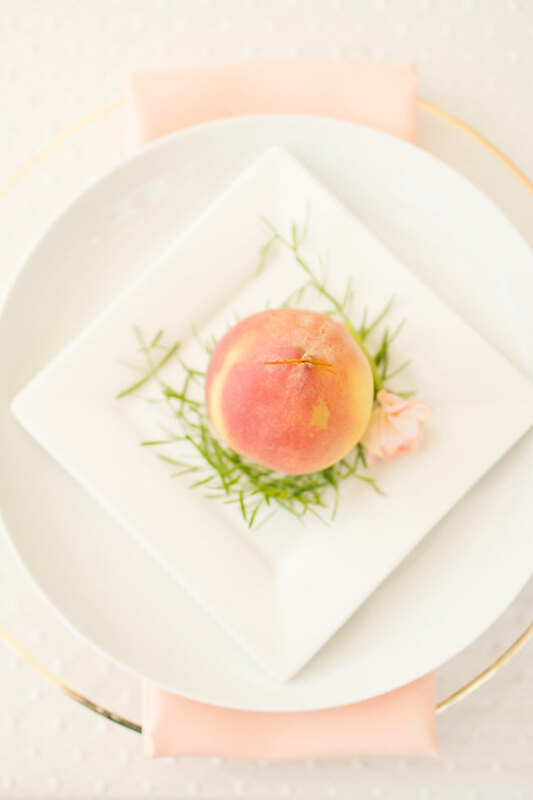 “Our tablescape vignette is inspired by a color palette of peach, coral and gold. 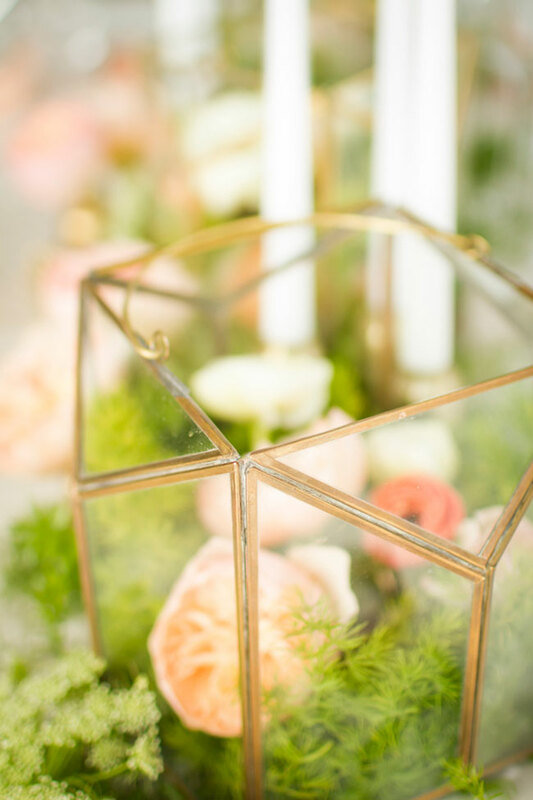 We wanted to blend aspects of modern, geometric design with vintage rustic pieces and lush floral accents. 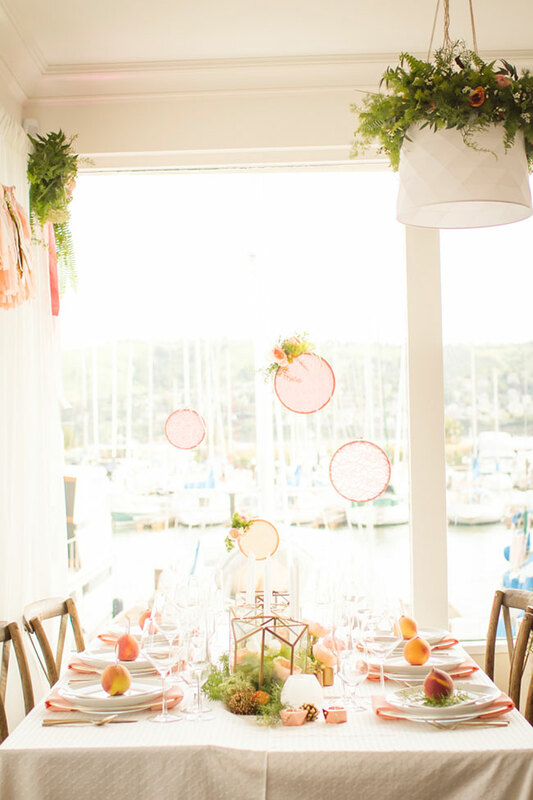 Since we stuck with a clean design this eclectic mix of aesthetics and decor was complimentary rather than competitive and distracting. 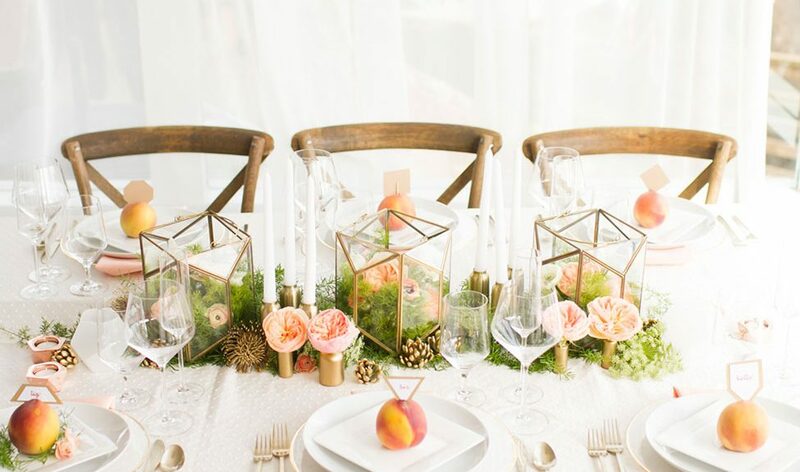 The tablescape is the center of our design. 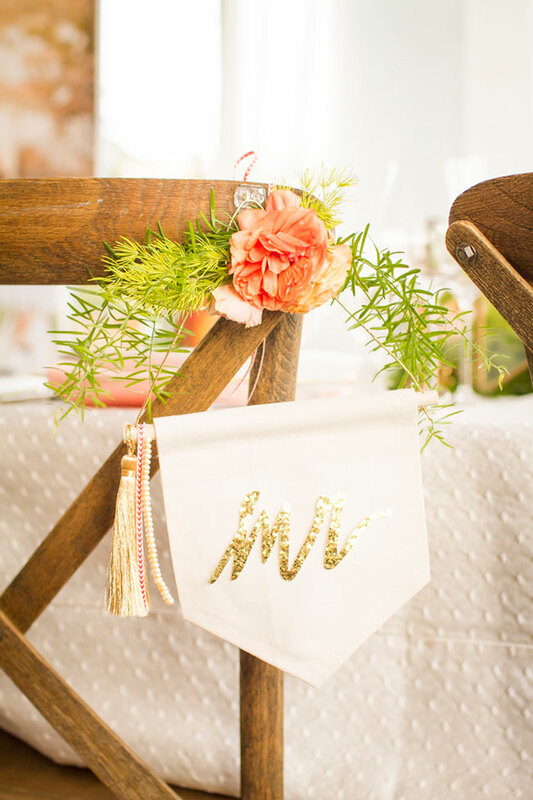 We begin with a simple white dotted linen to showcase the color palette, especially the gold details. 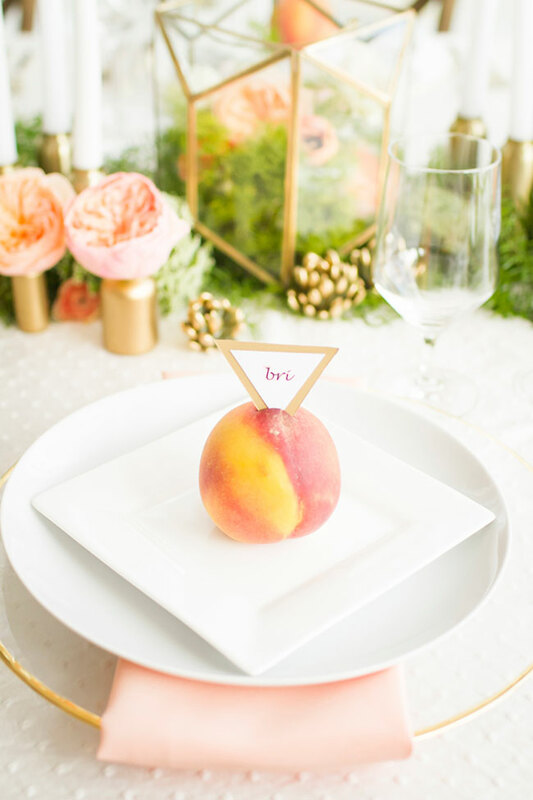 The table settings arranged in a diamond shape incorporate the geometric theme by using a round gold rimmed charger and base plate and a square salad plate. 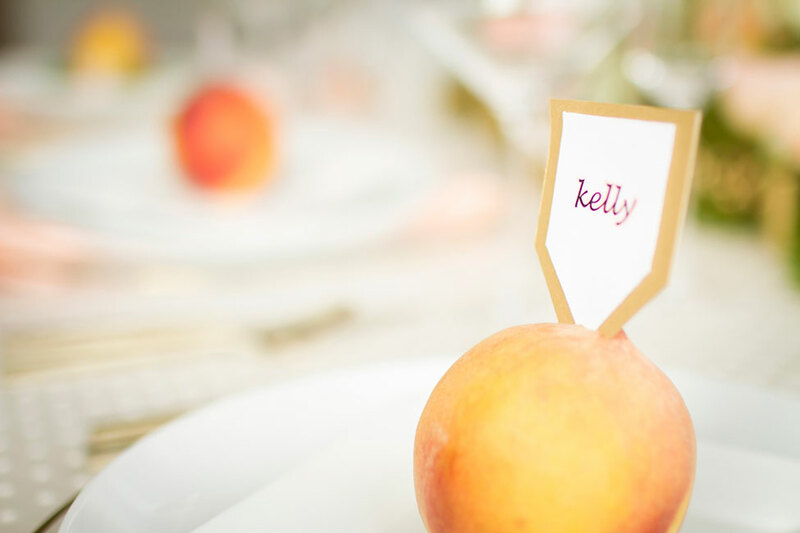 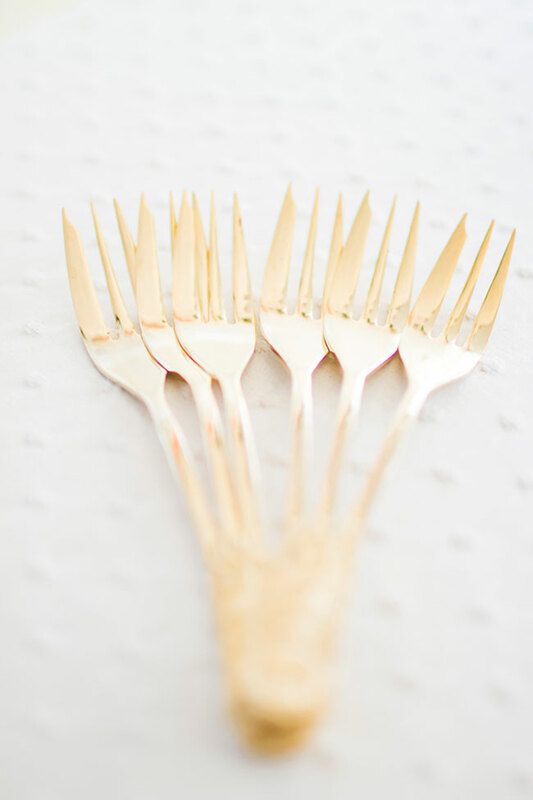 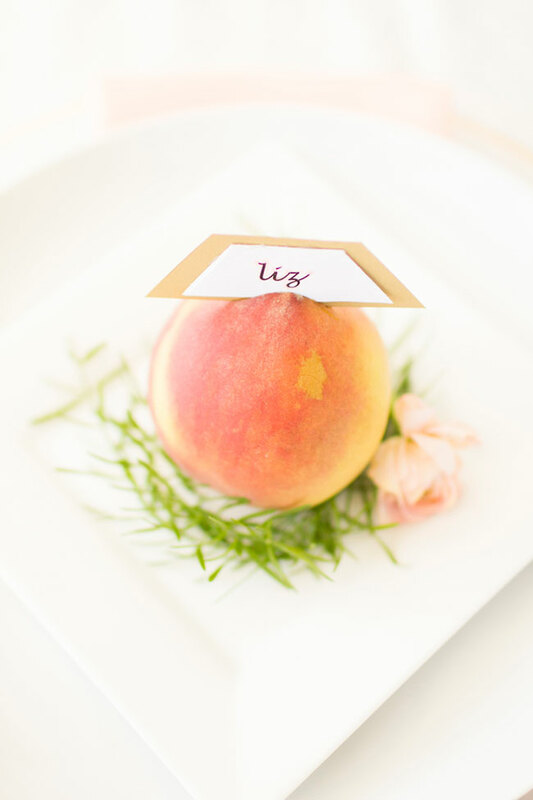 The table settings are topped with a peach and DIY name cards, also cut in a variety of geometric shapes. 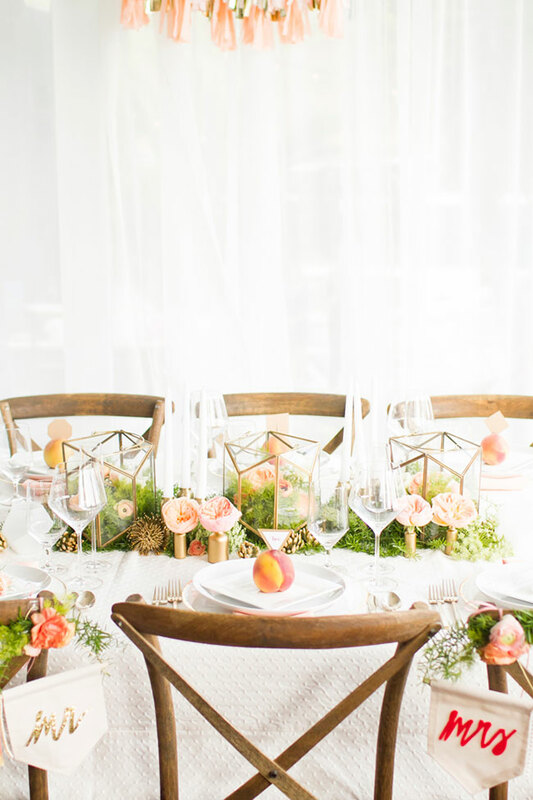 The natural farm chairs add a rustic touch to the entire vignette. 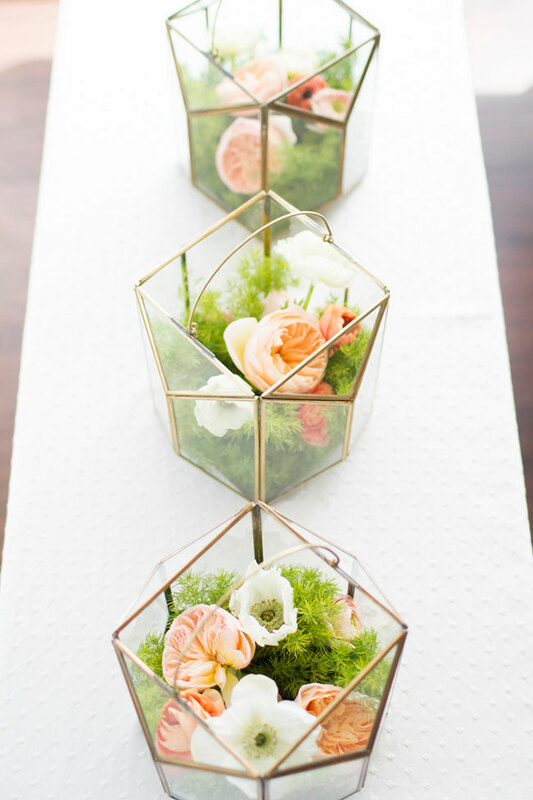 The centerpiece is an area that gave us a great opportunity to showcase the modern geometric aspect. 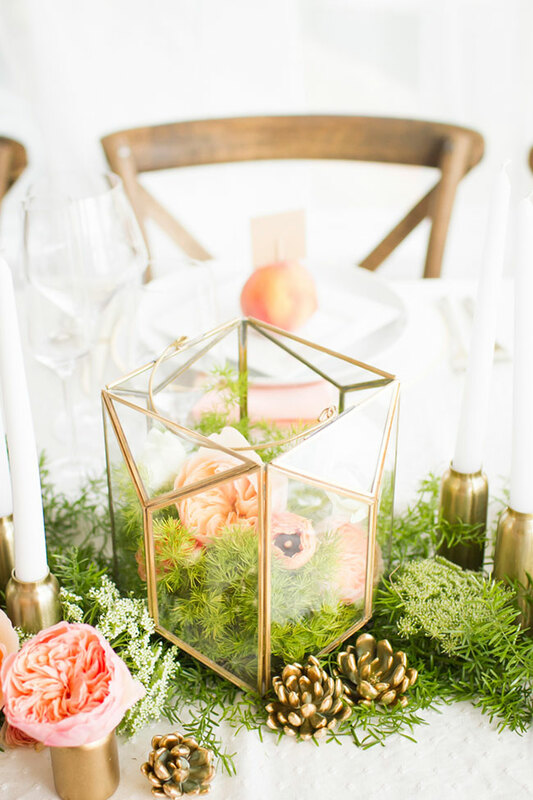 We started with a green garland base along the center of the table, we topped it with gold geometric terrarium vases from Anthropologie. 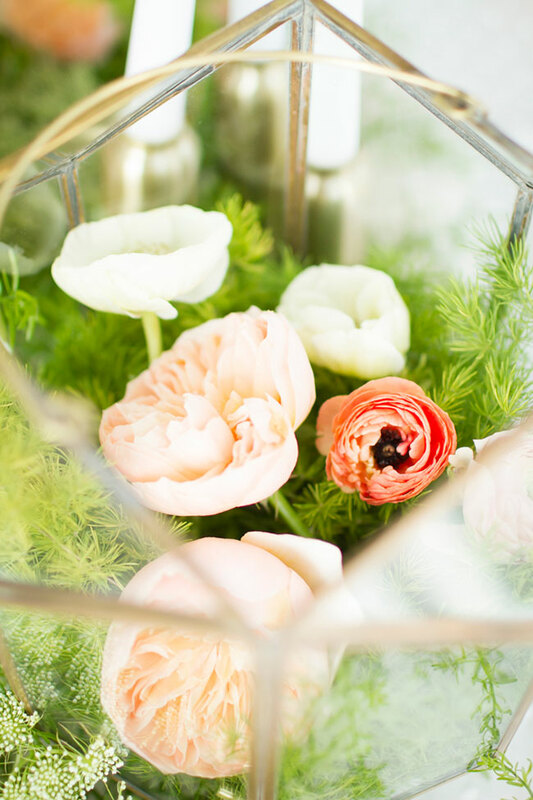 The vases were filled with additional greenery, garden roses, anemones, and ranunculus. 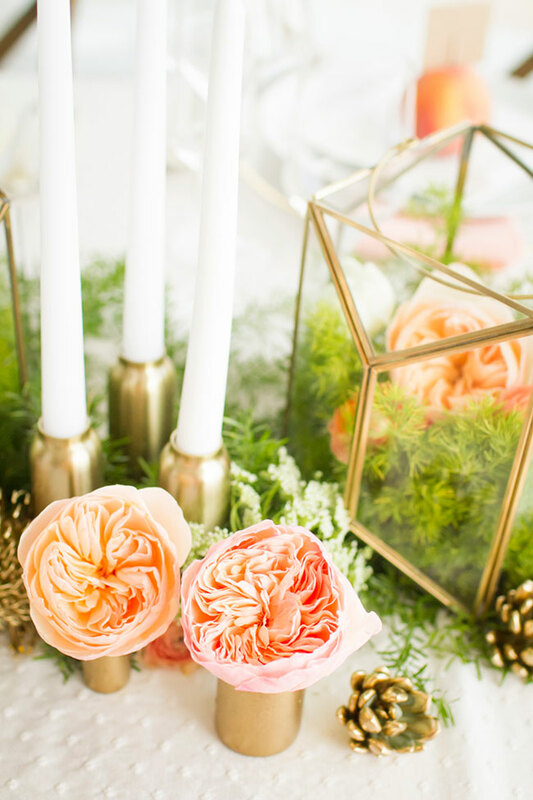 The design was finished off with some scattered gold succulents and a collection of modern candle holders from CB2. 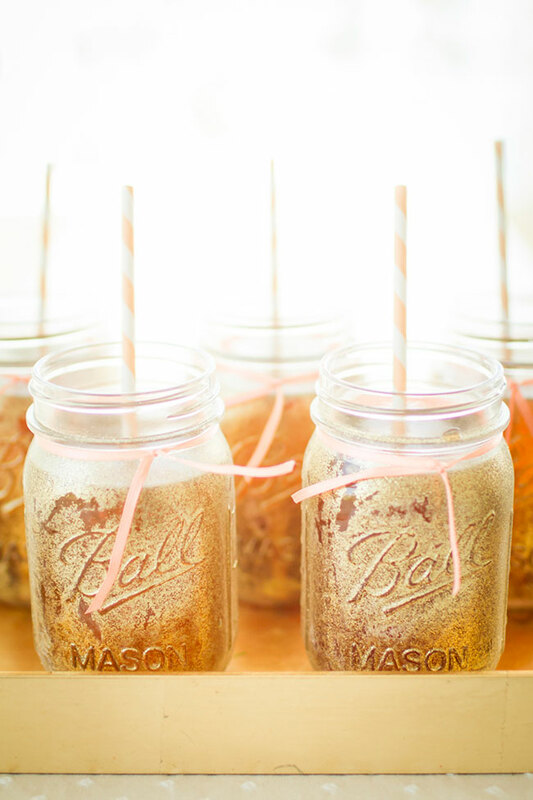 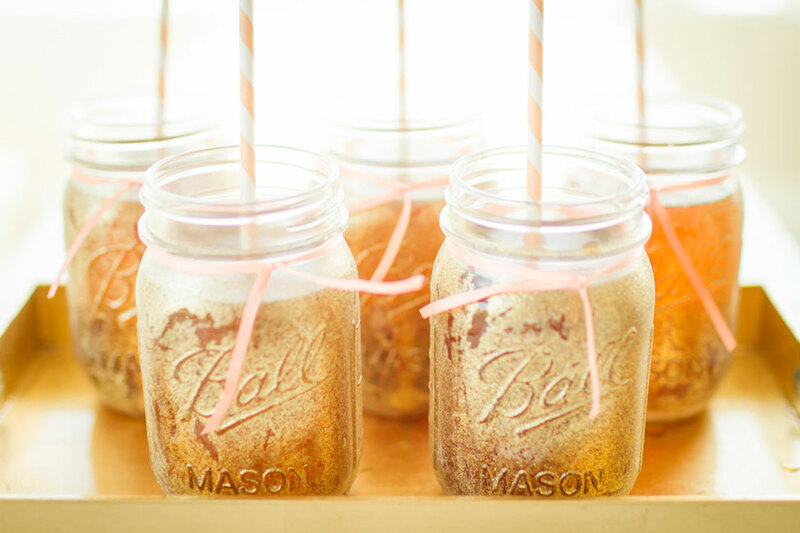 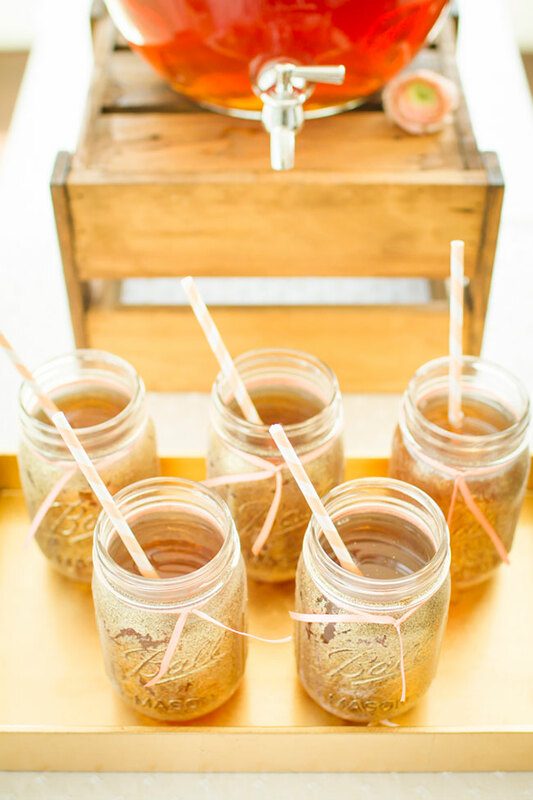 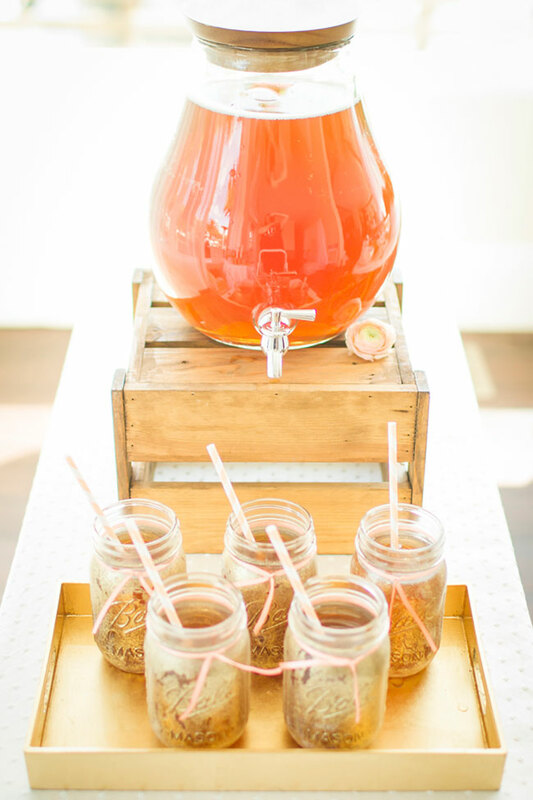 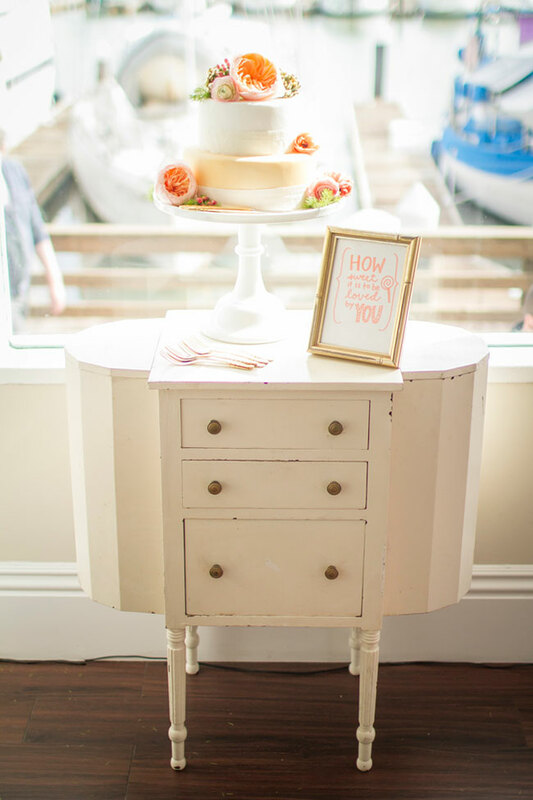 The antique dresser and cart, provided by Hunt & Gather Rentals, were used to showcase the gorgeous ivory and gold 3 tiered cake and peach tea beverage with DIY gold glitter spray painted mason jars. 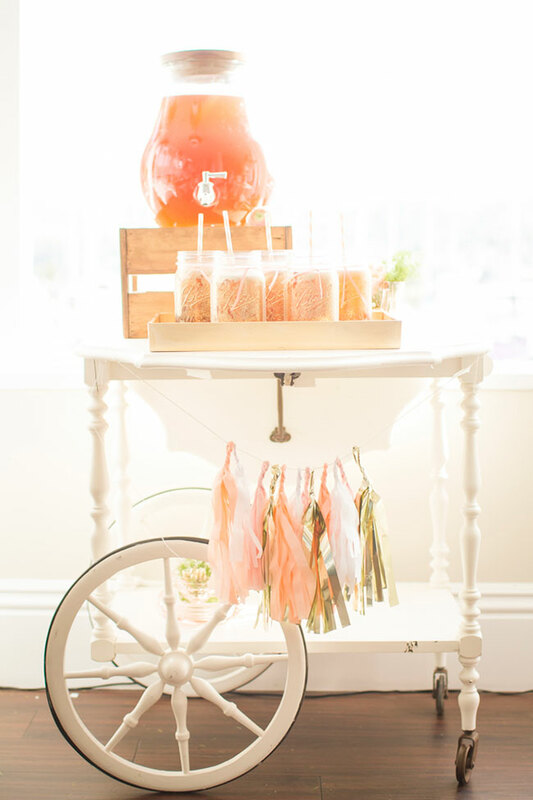 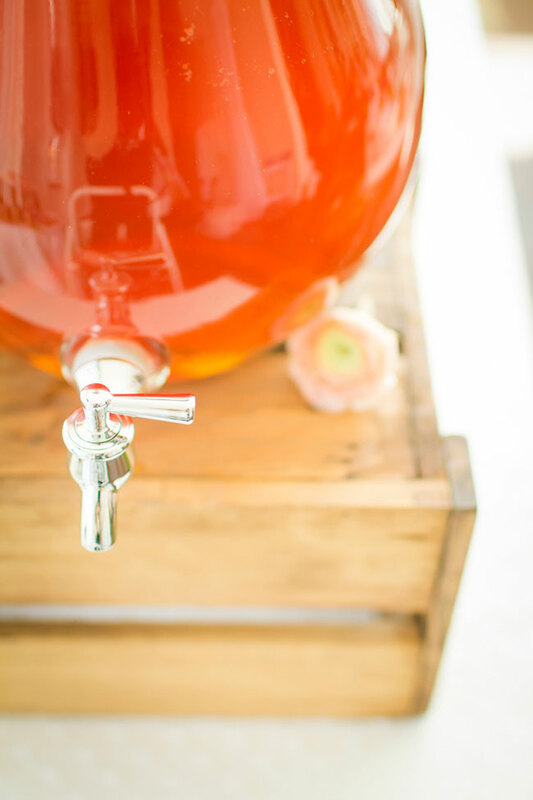 Our friend at Harlow’s House contributed a diverse variety of decor and DIY accessories that added a beautiful variety and pops of color throughout our design, including the custom tassel garlands accenting the beverage cart and backdrop. 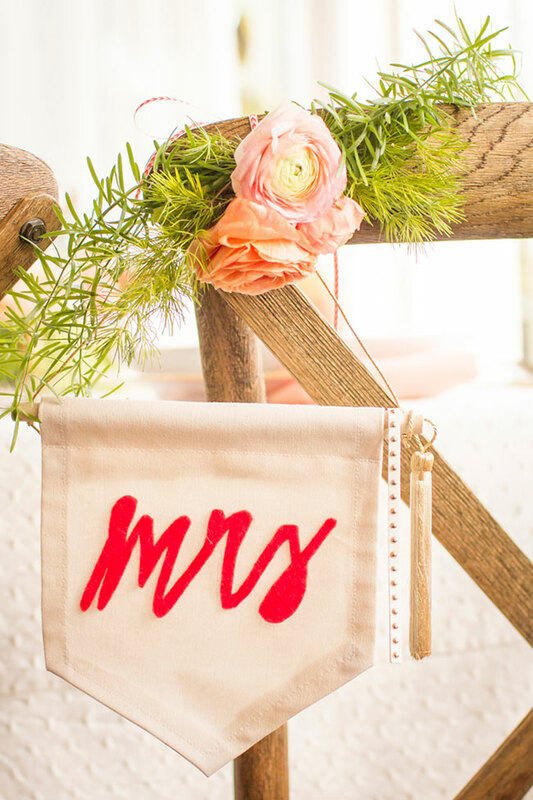 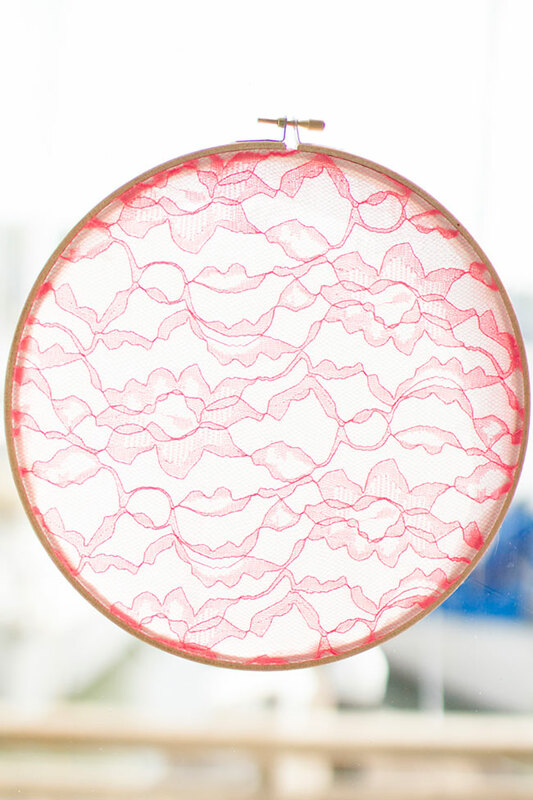 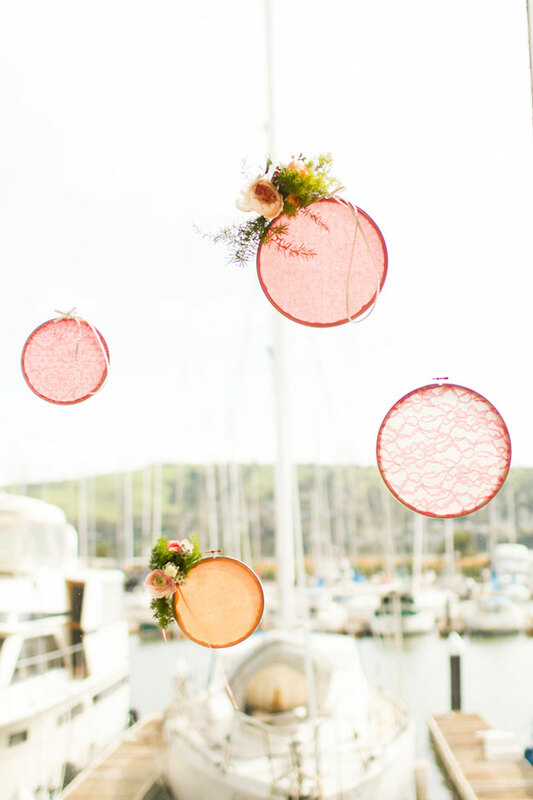 The embroidery hoops served as additional decor, and were adorned with floral garland, as well as the handmade the “Mr.” and “Mrs.” chair banners.